Do you want to register or change the email address for your Kotak Mahindra Bank account? If yes, then no need to visit Bank. You can register/change the email address in Kotak Bank online. By registering email ID with your Kotak Bank account, you can subscribe for e-statement facility and able to ga et monthly statement on your email address. You will also receive transaction related alerts and OTP after registering an email address with your Kotak account. 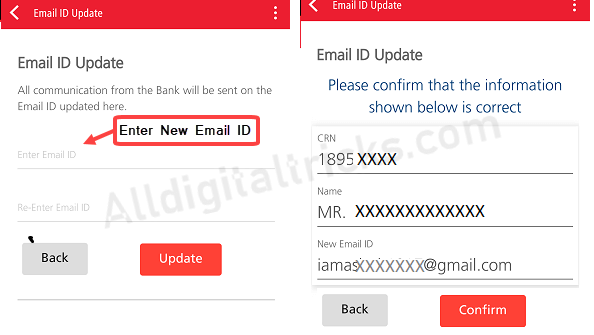 If you have a valid email address then follow below two methods and register or change email ID in your Kotak Bank account online. 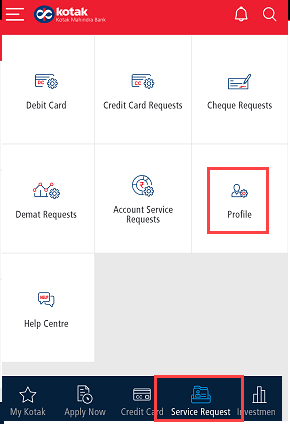 Login to Kotak Mobile Banking Application. After login tap and open Service Request – Profile widget as you can see below screenshot. Next screen tap on Email ID update. Now enter your new Email ID and tap on Update. Again confirm your request. 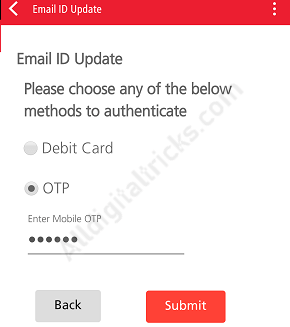 Next screen, choose Debit card OR OTP option to authenticate your request. Done! 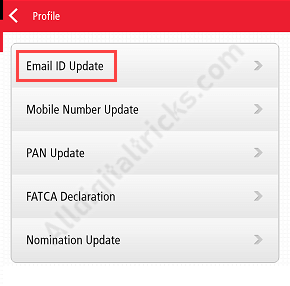 you have successfully changed/registered email ID with your Kotak Bank account. Kotak Mahindra Bank customers can also use Kotak Internet Banking to register or update email ID with the bank account. Now click on Profile/Update contact Details. Next screen in contact details, click on Edit in email id option. Now enter your new email address and authenticate using OTP or Debit card. 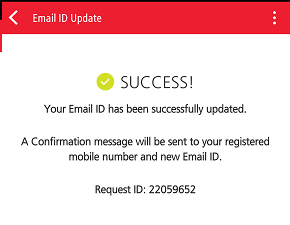 So this is how you can change/register email ID online in Kotak Mahindra Bank.